Mahiki Nightclub - The Hottest London Nightclubs - Get on the Guestlist & Book a table! The Mahiki Night Club is one of those posh London nightclubs that are known to be difficult to get in because there’s such an affluent crowd that likes to frequent this highly popular and fun-filled nightclub! The Mahiki Night Club is one that offers a taste of Hawaii, and is the definitive tropical retreat for those who want to have some fun hobnobbing with the elite on a Friday or Saturday night. The ambiance is perfect, and includes flower-wearing waitresses. The booths are dimly lit providing a sensual atmosphere, with totem poles and really cool Tiki chairs surrounding the clubs entirety. The attention paid to detail here is exquisite and must be seen to be appreciated! The music played includes songs from the early 80s and continues to the hits of today. Mahiki’s staff are top-notch and will help make sure that you get everything you need so your night can be full of fun! The Mahiki club makes it a goal to make the absolute best cocktails, so you’re sure to not only get any kind of drink you desire, it’s going to be absolutely delicious! And the lighting is always kept low to emit a romantic setting like no other. The Mahiki club is a great place to bring a date! The Mahiki nightclub wants you to have one of the best nights of your life, and provides the best atmosphere to make that happen. Come to the Mahiki so you can feel exotic while drinking one of those drinks with a little umbrella in it! Know that as soon as you walk into the Mahiki nightclub, your whole world is altered as you have now entered a place where you an escape all the troubles of the day – in a tropical paradise! There’s an endless list of top celeb’s who come to the Mahiki club to have fun and party. Musicians, Royalty and actors, including Prince Harry, Rhianna, Kings of Leon, David Gandy, The Saturdays, and much more! Get your name put on the Mahiki GuestList today! Well, that’s if you want to be sure you’re able to get in without issue. To keep the party crazy every day! If you’re tired and bored of the same old parties and London Nightclubs then you’ve come to the right place. 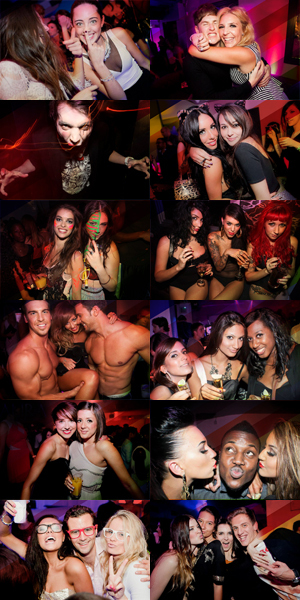 VIPLounge.co.uk – Providing the most crazy and wild events in the London nightclub scene. Get in touch and join the VIP Guestlist now!